Free shipping. Buy direct from HP. See customer reviews and comparisons for the Targus DEFCON KL Cable Lock - TAA Compliant. Upgrades and savings on select products. 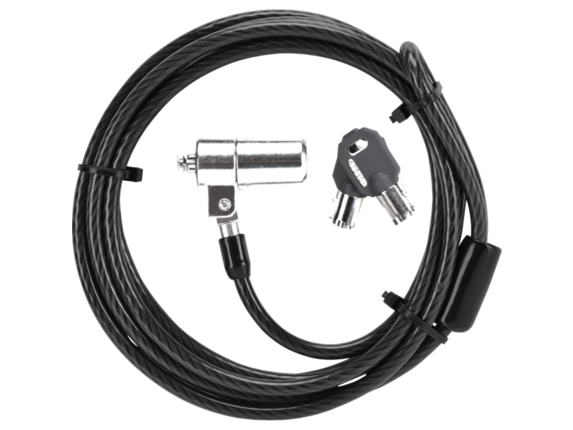 The DEFCON KL Cable Lock is a sturdy locking device featuring a 6 foot steel cable with a pass through loop on one end and lock on the other end. Any attempts to remove it, will noticeably damage the computer, preventing resale and therefore discouraging theft. The lock utilizes the security slot already built into your laptop computer. This Key Lock also ships with two identical keys, giving you the peace of mind of a back-up key.